Heraldry and the medieval gentlewoman. By Maurice Keen (pp. 1-8, with plates 1 and 2). John Dee’s crest, and arms in his ‘Mathematical Preface’. By Alistair Kwan (pp. 9-13, with plate 3). Signets and scutcheons: James I and the union of the crowns. By Adrian Ailes (pp. 15-21, with plate 4). The heraldic legacy of Sir Isaac Heard. By Clive Cheesman (pp. 23-36, with plates 5 and 6). A confusion of arms: the shield of the Worshipful Company of Brewers of the City of London. By Terence Paul Smith (pp. 37-46, with plate 7). The heraldic funeral. By Julian Litten (pp. 47-67, with plate 8). Rabbow, Neues braunschweigisches Wappenbuch. By J. Michael Phillips (p. 68). The foundation of the Court of Chivalry. By John Campbell-Kease (pp. 69-70). Tudor enigmas. By Peter Gwynn-Jones (pp. 73-104, with plates 1 and 2). A gift from Robert Glover: BL Ms Egerton 3789, fo. 25r-32r. By Douglas Arden (pp. 105-16). Kinship and heraldry in 16th-century South Tyrol. By Gustav Pfeifer (pp. 117-43, with plates 3, 4, 5 and 6). Heraldic jurisdiction in the Commonwealth. By Noel Cox (pp. 145-62). Editing rolls of arms: some reflections on basic principles (Fécamp, La visitation du Pays de Caux, and McAndrew, The Balliol Roll). By John A. Goodall (pp. 163-6, with plate 7). Heralds in the new DNB (part I). By Jackson W. Armstrong (pp. 167-72). John Archibald Goodall, FSA (1930-2005) (pp. 1-10, with plate 3). The English in the Golden Fleece group of armorials. By Steen Clemmensen (pp. 11-44). The matula in heraldry: the grant of arms to Lewis Caerlion. By Paul A. Dreschnack (pp. 45-8, with plate 1). The Bridgeman Tomb, St Laurence’s, Ludlow. By Janet Verasanso (pp. 49-54, with plate 2). Gentry at the centre: The Visitation of London begun in 1687. By Jacob Field (pp. 55-60). Hye, Wappen in Tirol. By Michael Göbl (pp. 61-3). Lautens, Noble Hearts: the Order of St Joachim. By Clive Cheesman (pp. 63-5). The Cambridge Illuminations. By Timothy Noad (pp. 65-8). Lions rampant: an Arundel Castle study day. By Peter O’Donoghue (pp. 68-70). John Philip Brooke-Little, CVO, MA, FHS (1927-2006) (pp. 1-10, with plate 3) (pp. 77-81). The martyrdom of Edmund Fitzalan, Earl of Arundel (1285-1326). By Michael Burtscher (pp. 83-96, with plates 1 and 2). Fourteenth-century ordinaries of arms, part 1: Thomas Jenyns’ Book. By Paul A. Fox (pp. 97-102). Letters patent appointing Edward Pike Deputy Herald for Devon, 1688. By Adrian Ailes (pp. 103-6, with plate 3). Heralds at the Delhi Durbars. By Peter O’Donoghue (pp. 107-24, with plate 4). The English in the Golden Fleece group of armorials. By Paul A. Fox (p. 125). Response by Steen Clemmensen (p. 126). A silver armorial seal die found near Newark. By Clive Cheesman (pp. 127-30, with plate 5). Heralds in the new DNB (Part II). By David Gelber (pp. 131-8). Sutton and Visser-Fuchs, Royal Funerals of the House of York at Windsor. By Michael Hicks (pp. 139-41). Mansell, Dressed for Success. By Thomas Woodcock (p. 141). Degli Uberti and Pinotti, Storia del diritto nobiliare italiano vol. 1. By Clive Cheesman (pp. 142-3). John Brooke-Little and the College of Arms Conservation Department. By Robert Yorke (p. 145). The Conservation Department today. By Christopher Harvey (pp. 146-7). John Brooke-Little (part 2) (pp. 1-8). Argent a cross Gules. The origins and English use of the arms of Saint George. By Jonathan Good (pp. 9-18). The ‘dragon-and-pearl’ motif on a medieval armorial roundel from Norfolk. By Steven Ashley (pp. 19-23, with plate 1). Sir Henry Spelman investigates. By Richard Cust (pp. 25-34, with plates 2 and 3). Death, commemoration and the heraldic funeral in Tudor and Stuart Cheshire and Lancashire. Part I. By Wendy Walters-Di Traglia (pp. 35-54, with plates 4 and 5). ‘Ornamental for closet or house’: printed catalogues of the arms of London livery companies. By Ian Anders Gadd (pp. 55-66, with plate 6). Thomas Jenyns’ book and its precursors. By Steen Clemmensen (pp. 67-8). Response by Paul A. Fox (p. 68). 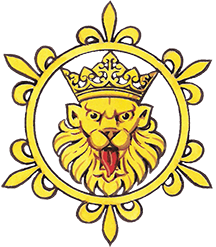 XXVII International Congress of Heraldic and Genealogical Sciences. By George Lucki (pp. 69-74). Good Impressions (the British Museum). By Paul A. Fox (pp. 75-6). Sainty and Heydel-Mankoo (edd. ), World Orders of Knighthood and Merit. By Michael Powell (pp. 77-9). Strong, Coronation. By Dale Hoak (pp. 79-80). Groom, The Union Jack. By Dominick Donald (pp. 81-2). Robinson, Grass Seed in June. By Alastair Langlands (pp. 82-3). Malden and Malden (edd. ), The Dunvegan Armorial. By Jackson W. Armstrong (pp. 83-5). A medieval armorial scabbard from Norfolk Street, King’s Lynn. By Steven Ashley (pp. 87-93). The missing earl: Richard Fitzalan, Earl of Arundel and Surrey, and the Order of the Garter. By Michael Burtscher (pp. 93-101). Death, commemoration and the heraldic funeral in Tudor and Stuart Cheshire and Lancashire. Part II. By Wendy Walters-Di Traglia (pp. 103-16, with plates 1 and 2). ‘Hark, what discord’: precedency among the early-Stuart gentry. By David Gelber (pp. 117-44). Grants of arms in the early eighteenth century. By Peter O’Donoghue (pp. 145-58, with plates 3 and 4). The silver seal of Robert Fitzwalter, died 1235. By John Cherry (p. 159, with plate 5). The Evelyn arms on a cistern? By Anton C. Zeven and Robert A. Laing of Colington (pp. 159-62, with plate 6). Galloway, The Order of the Bath. By Andrew Hanham (pp. 163-6). Carne, Curiously Painted. By Peter O’Donoghue (pp. 167-8). Timeless & Classic (at the Royal College of Art). By C. J. Jay (pp. 169-70). Making the Act of Union 1707 (at the House of Lords). By Timothy Duke (pp. 170-1). An unrecognized Lindsay quarter. By Bruce McAndrew (pp. 1-6). Some external insignia of office for dignitaries of the Order of St John of Jerusalem, Cyprus, Rhodes and Malta. By John Joseph Fitzpatrick Kennedy (pp. 7-15, with plate 1). The cross of St George and the Banner of the Ressurection. By Jeremy Goldsmith (pp. 17-19). The medieval origins of the British system of cadency. By Paul A. Fox (pp. 21-8, with plates 2 and 3). Partridges: the history of a prohibition. By Clive Cheesman (pp. 29-62, with plates 4 and 5). Conyngham-Heard-Phillipps pedigrees. By Nigel Ramsay (pp. 63-4, with plate 6). Arms on a seventeenth-century cistern. By E. J. Redshaw (pp. 64-5, with plate 7). Heraldry beyond the heraldic journals 2000-2005 (pp. 67-78). Siddons, The Development of Welsh Heraldry IV. By J. Beverley Smith (pp. 79-81). Munby, Barber and Brown (edd. ), Edward III’s Round Table at Windsor. By Michael Hicks (pp. 81-4). McAndrew, Scotland’s Historic Heraldry. By Jackson W. Armstrong (pp. 84-7). Cust and Hopper (edd. ), Cases in the High Court of Chivalry 1634-1640. By Stephen K. Roberts (pp. 87-9). Swan, A King from Canada. By Ambrogio Caiani (pp. 89-91). A wyvern on a twelfth-century armorial weight from Norfolk. By Steven Ashley (pp. 93-9, with plate 1). Regency knights: the Royal Guelphic Order, 1815-1837. By Andrew Hanham (pp. 101-24, with plates 2 and 3). Queen Victoria’s Jubilee processions and the heralds, 1887 and 1897. By Duncan Green (pp. 125-36, with plates 4 and 5). The reception of England’s armorial law into Canada. By C. S. T. Mackie (pp. 137-53). The new reverse designs for the U.K. definitive coinage. By Barrie Cook (pp. 155-9, with plate 6). The origins of the label and the maunch. By Paul A. Fox (pp. 159-60). Radulescu and Truelove (edd. ), Gentry Culture in late Medieval England. By Adrian Ailes (p. 161). Titterton, The Grisaille and Heraldic Glass in the Chancel at Norbury, Derbyshire. By Jeremy Goldsmith (pp. 162). Lions charged with a cross potent: Central Asian ‘shoulder ornament’ on a twelfth-century buckle plate from Norfolk. By Steven Ashley (pp. 1-6, with plates 1 and 2). The development of the Visitations. By Adrian Ailes (pp. 7-23). The laws of arms of the provinces of Canada. By C. S. T. Mackie (pp. 25-38). Heralds in the new DNB: part III. By C. J. Jay (pp. 39-43). The Paul and Jill Ruddock Gallery of Medieval Europe (British Museum). By Jeremy Goldsmith (pp. 45-7). XXVIII International Congress of Heraldic and Genealogical Sciences. By Fergus Gillespie (pp. 49-50). Lavers, The Natural History of Unicorns. By John Cherry (pp. 51-2). Minima Heraldica 1 and 2. By Clive Cheesman (p. 52). Fourteenth-century ordinaries of arms. Part 2: William Jenyns’ Ordinary. By Paul A. Fox (pp. 55-64, with plates 1 and 2). American guild arms in the Constitutional Processions of 1788. By Joseph McMillan (pp. 65-79, with plates 3 and 4). Internet heraldry: advantages, shortcomings and unused potential. By Jack Carlson (pp. 81-92). Magnificence of the Tsars (V&A Museum), with Amelekhina and Levykin (edd. ), Magnificence of the Tsars. By Peter O’Donoghue (pp. 93-5). Karl der Kühne/Charles the Bold (Kunsthistorisches Museum, Vienna), with Marti et al. (edd. ), Splendour of the Burgundian Court. By Michael Göbl (pp. 95-7, with Plate 5a). Coss and Tyerman (edd. ), Soldiers, Nobles and Gentlemen. By Jeremy Goldsmith (pp. 97-8). Seals in Medieval Wales (Aberystwyth University and the Institute of Medieval and Early Modern Studies). By Elizabeth New (pp. 99-100). Corporate grants of arms since 1673 (the College of Arms with support from Brand Finance plc). By Clive Cheesman (pp. 100-8, with Plate 5b). Representations of courtship and marriage in the Salisbury Rolls. By Susan Crane (pp. 1-15, with plates 1, 2 and 3). Visitation instructions 1634. By Peter O’Donoghue (pp. 17-22). The Hearth Tax and the pre-Great Fire home of the heralds. By Adrian Ailes (pp. 23-5). The armorial plaques in the Royal Salop Infirmary. By Janet Verasanso (pp. 27-35, with plate 4). Stevenson (ed. ), The Herald in Late Medieval Europe. By Emma Cavell (pp. 37-9). Good, The Cult of St George in Medieval England. By Cindy Wood (pp. 39-41). Herendeen, William Camden: a life in context. By Adrian Ailes (pp. 41-2). Popoff, Toscane (hors Florence). By Clive Cheesman (pp. 42-4). The court of Henry II of England in the 1180s, and the office of King of Arms. By David Crouch (pp. 47-55). Petticoat heraldry. By Bruce McAndrew (pp. 57-64, with plates 1 and 2). Some aspects of the ‘crisis of heraldry’. By Clive Cheesman (pp. 65-80, with plates 3 and 4). Municipal heraldry in Fascist Italy: the case of the Bozen civic arms (1926-1943). By Gustav Pfeifer (pp. 81-100, with plates 5, 6 and 7). Five medieval sword pommels from Norfolk. By Steven Ashley (pp. 1-7, with plate 1). Reynard in seals and heraldry. By John A. Goodall (pp. 8-10, with plate 2). Signs, seals and symbols of imperial power 1600-1960: a view from H.M. Government. By Adrian Ailes (pp. 11-24, with plates 3-8). Saul, English Church Monuments in the Middle Ages. By Peter O’Donoghue (pp. 25-7). Nash, Of Irish Descent. By Sinead McEneaney (pp. 27-30). De Minvielle-Devaux, The Laws of Arms in England, France & Scotland. By C. S. T. Mackie (pp. 30-2). Heraldry beyond the heraldic journals, part two: 2006-10 (pp. 33-43). A further example of Central Asian ‘shoulder ornament’ on a proto-heraldic lion from Thetford. By Steven Ashley (pp. 45-8, with plate 1). The right to possession of a grant of arms: United Kingdom, Republic of Ireland and Commonwealth countries. By Richard d’Apice (pp. 49-56, with plate 2). The arms of the Queen on the Bench: constitutional confusion over heraldic display in British Columbian courtrooms. By C. S. T. Mackie (pp. 57-80, with plate 3). British Airways’ unbreakable promise. By Andrew Marsden (pp. 81-4, with plates 4 and 5). The arms of Mure. By Dirk FitzHugh (pp. 85-6). Woodcock and Flower (edd. ), DBA 3. By Steven Ashley (p. 87). ‘Incipient Armory’ in the Bayeux Tapestry? By Michael J. Lewis (pp. 1-26, with plates 1-6). Names and arms clauses. Howard v Howard-Lawson. By Jeremy Goldsmith (pp. 27-32). Jewellery and men in Tudor and Jacobean England. By Natasha Awais-Dean (pp. 33-8). Siddons, Heraldic Badges in England and Wales. By Robert W. Jones (pp. 39-41). Wiggins and Field (edd. ), Guy of Warwick. By Clive Cheesman (pp. 43-4). Almanach de Gotha 2012, i. By J. H. C. Williams (pp. 45-6). Artefacts reported under the Treasure Act and the Portable Antiquities Scheme (pp. 47-52). Conferences, lectures, websites and podcasts (pp. 53-7). Crusading families and the spread of heraldry. By Paul A. Fox (pp. 59-84). The precedence of the Earldom of Devon 1335-1485. By Michael Hicks (pp. 85-90). The Maryland name and arms acts: heraldic law in the United States. By Joseph McMillan (pp. 91-116, with plates 1 and 2). Modish monsters. By Laurent Ferri (pp. 117-22). Simpkin, The English Aristocracy at War, from the Welsh Wars of Edward I to the Battle of Bannockburn. By Nigel Ramsay (pp. 123-4). Artefacts reported under the Treasure Act and the Portable Antiquities Scheme (pp. 125-9). Conferences, lectures, websites and podcasts (pp. 131-40). Silent ambassadors of the State: symbols of national identity on the Great Seals and coins of the United Kingdom. By Adrian Ailes (pp. 1-22, with plates 1-6). A Wrottesley hatchment recovered. By Joseph J. Gwara and Philip A. Hayden (pp. 23-46, with plates 7 and 8). Jones, Bloodied Banners. By Michael J. Lewis (pp. 47-9). Barber, Edward III and the Triumph of England. By Michael Hicks (pp. 49-50). Broadway, William Dugdale. By Lynsey Darby (pp. 50-52). Artefacts reported under the Treasure Act and Portable Antiquities Scheme (pp. 53-6). Conferences, lectures, websites and podcasts (pp. 57-66). Understanding shield emblems on ancient Athenian vases: the case of Geryon’s many shields. By N. G. Mattias Engdahl (pp. 67-76, with plate 1). A note on Sir Sanchet d’Abrichecourt, one of the first founders of the Order of the Garter. By Lisa Jefferson (pp. 77-84, with plate 2). The College of Arms and the Second World War. By Peter O’Donoghue (pp. 85-102, with plates 3-5). Almanach de Gotha volume II (2013). By J. H. C. Williams (pp. 103-4). Popoff, Royaume de Naples and Venise. By Clive Cheesman (pp. 104-5). The gold ‘noble’ of Edward III – an erratum. By Adrian Ailes (p. 105, with plate 6). Artefacts reported under the Treasure Act and Portable Antiquities Scheme (pp. 107-12). Conferences, lectures, websites and podcasts (pp. 113-24). The codification of heraldry in Malory’s Le Morte Darthur. By Sarah Brazil (pp. 1-8). On the concepts of ‘Great’ and ‘Sovereign’ Orders. By Antti Matikkala (pp. 9-22). The seal of Margaret de Hoyland. By Clive Cheesman (pp. 23-7, with plates 1 and 2). The arms of Sir Reynold Carnaby at Hexham Abbey House, 1539. By Peter F. Ryder (pp. 27-31, with plate 3a). The coat of arms of José de Escandón, founding father of South Texas. By Sebastian A. Nelson (pp. 31-3). Artefacts reported under the Portable Antiquities Scheme and the Treasure Act (pp. 35-6). Conferences, lectures, websites and podcasts (pp. 37-50). Roger Machado, Perkin Warbeck and heraldic espionage. By Gemma L. Watson (pp. 51-68). Artists and artwork of the heraldic visitations 1530-1687. By Adrian Ailes (pp. 69-82, with plates 1 and 2). Illustrious from the Nile: the heraldic afterlife of John Hanning Speke. By Jeremy Goldsmith (pp. 83-96, with plates 3 and 4). Popoff and Pastoureau (edd. ), Armorial de Gèlre and Armorial Grünenberg. By Adrian Ailes (pp. 97-8). Crane, Animal Encounters. By Simon Parsons (pp. 98-100). Evans Pim, Yatsenko and Perrin (edd. ), Traditional Marking Systems. By Steven Ashley (pp. 101-5). Brown and Small, Court and Civic Society in the Burgundian Low Countries. By Gordon McKelvie (pp. 105-7). Alão de Morais, ed. Metelo de Seixas, Compendio das Armas. By Clive Cheesman (pp. 107-8). Symbols of Honor: Folger Shakespeare Library. By Joseph McMillan (pp. 109-13). Artefacts reported under the Portable Antiquities Scheme and the Treasure Act (pp. 113-25, with plates 5-8). Conferences, lectures and websites (pp. 126-34). The earliest armorial harness pendants. By John Baker (pp. 1-24, with plates 1 and 2). A silver boar on Bosworth Field: the significance of the livery badge on the medieval battlefield. By Robert W. Jones (pp. 25-34). Badges and ‘crests’: the twentieth-century relationship between heraldry and football. By David Llewelyn Phillips (pp. 35-50, with plates 3, 4 and 5). The first Portcullis Pursuivant? By Vance Mead (pp. 51-3). Original patents of augmentations in Venetian archives (part 1). By Sebastian A. Nelson (p. 53, with plate 6). Edmund Lodge’s misadventure. By Clive Cheesman (p. 54). Illuminated charters as ‘Gesamtkunstwerk’. By Andreas Zajic (pp. 55-62, with plates 7 and 8). Siddons, Dictionary of Mottoes in England and Wales. By T. C. A. Ford (pp. 63-6). Pastoureau, Green: the history of a color. By Emily Savage (pp. 66-70). Schraven, Festive Funerals in Early Modern Italy. By Alexandra R. A. Lee (pp. 70-3). Artefacts reported under the Portable Antiquities Scheme and the Treasure Act (pp. 74-79). Conferences, lectures, websites and blogs (pp. 80-94). Recent finds of late twelfth- or early thirteenth-century sword and dagger pommels associated with the Crusades. By Steven Ashley and Martin Biddle (pp. 95-106, with plates 1 to 4). The emergence of the word ‘heraldry’ in the seventeenth century and the roots of a misconception. By Torsten Hiltmann (pp. 107-16). Changes of arms in colonial North America: the strange case of Custis. By Joseph McMillan (pp. 117-38, with plate 5). Richard III’s standard bearer. By Robert W. Jones (p. 139). A Hapsburg archducal chronogram on a lost mounument. By Norman Hammond (pp. 139-42, with plate 6). Schofield (ed. ), Seals and their Context in the Middle Ages. By D’Arcy Jonathan Dacre Boulton (pp. 143-54). Carpenter (ed. ), Magna Carta. By Jeremy Goldsmith (pp. 154-9). De Asís García García et al. (eds. ), Animals and Otherness in the Middle Ages. By Antonella Sciancalepore (pp. 159-61). Cuneo (ed. ), Animals and Early Modern Identity. By Andrew Wells (pp. 161-5). Gordon and Rist (eds. ), The Arts of Remembrance in Early Modern England. By Harriet Lyon (pp. 165-9). Galloway, Exalted, Eminent and Imperial. By Andrew Hanham (pp. 169-73). Artefacts reported under the Portable Antiquities Scheme and the Treasure Act (pp. 175-80). Conferences, lectures and websites (pp. 181-8). City arms or municipal logo? Thoughts on the relevance of an inconclusive debate. By Julia Meer (pp. 1-20, with plates 1-4). Original patents of augmentations in Venetian archives (part 2). By Sebastian A. Nelson (pp. 21-2, with plates 5 and 6). Bock, Die Herolde in römisch-deutschen Reich. By Wim van Anrooij (pp. 23-5). Crouch (ed. ), The Newburgh Earldom of Warwick and its Charters. By Alice Hicklin (pp. 26-9). McInerney, Clerical and Learned Lineages of Medieval Co. Clare. By Tom O’Donnell (pp. 29-32). Hindman and Miller, Take This Ring. By Oliver Fearon (pp. 32-5). Simpson, Sir Henry Lee (1533-1611). By Nigel Ramsay (pp. 35-7). Artefacts reported under the Portable Antiquities Scheme and the Treasure Act (pp. 39-44, with plates 7 and 8). Conferences, lectures, websites and exhibitions (pp. 45-60). Early arms – as attributed, adopted or documented. By Steen Clemmensen (pp. 61-88). English Catholic heraldry under penalty, 1559-1778. By J. A. Hilton (pp. 89-102, with plates 9 and 10). Walter Belyngham, Esperance Pursuivant. By Vance Mead (p. 103). Malden, Malden and Scott (edd. ), An Ordinary of Scottish Arms from Original Pre-1672 Manuscripts. By Thomas Woodcock (pp. 104-7). COLOUR: The Art and Science of Illuminated Manuscripts (Fitzwilliam Museum, Cambridge, 30 July 2016 to 2 January 2017). By Timothy Noad (pp. 108-10). Urban Visual Culture(s): productions and perceptions of te visual in late medieval and early modern cities (Durham, 22 and 23 June 2016). By Rachael Harkes (pp. 111-14). Heraldic Badges: from miniature to ornamental (Courtauld Institute, 29 September 2016). By Oliver Fearon (pp. 114-16). Artefacts reported under the Portable Antiquities Scheme and the Treasure Act (pp. 117-23, with plates 11 and 12). Conferences, lectures and websites (pp. 124-32). Heraldry beyond the heraldic journals. Part three: 2011-2015 (pp. 133-54).